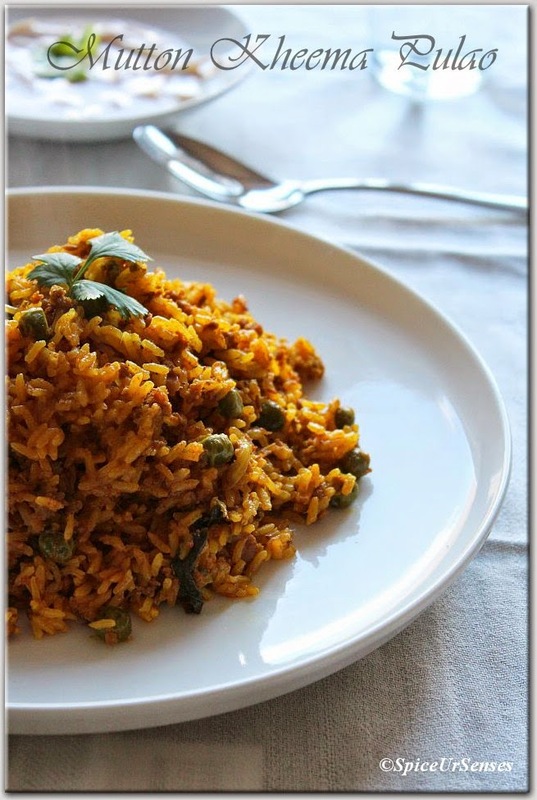 Mutton Kheema Pulao. 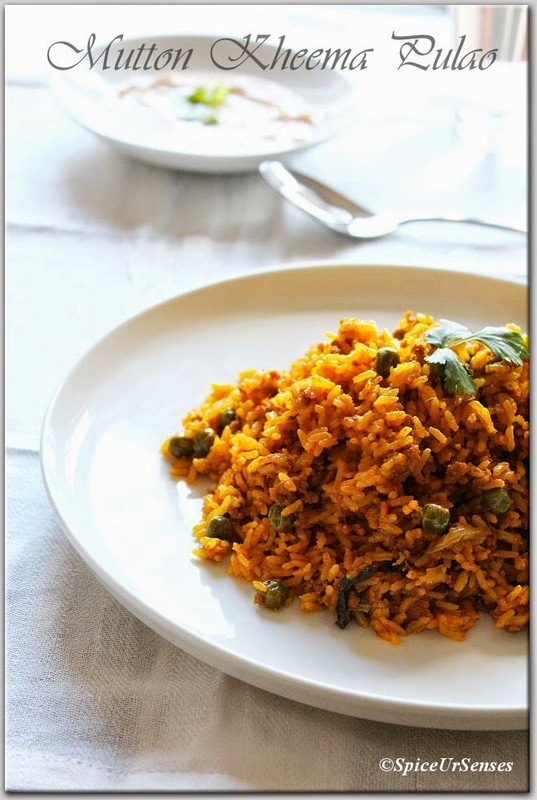 This dish can be called Briyani or Pulao. I always love anything which is one pot-meal and gets cooked in no time. 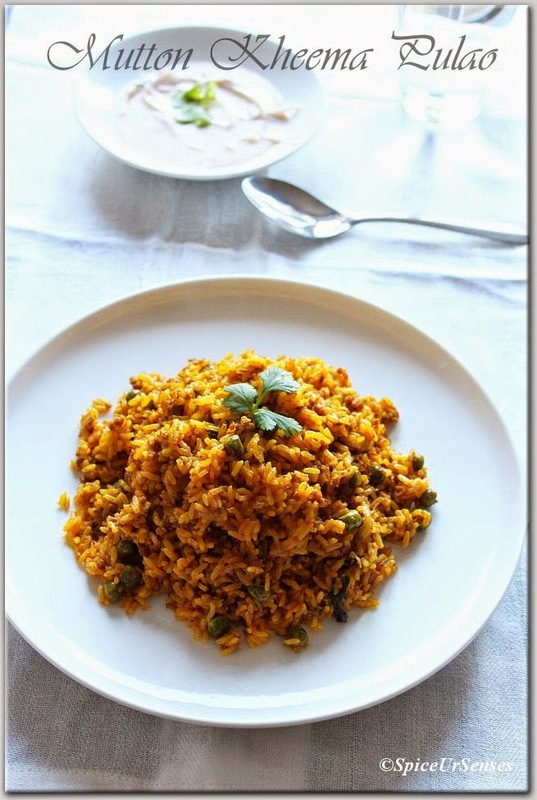 This dish takes no time when you cook in pressure cooker all you have do just put all the ingredients together and you have delicious pulao ready in 10minutes. I do prepare many other version but some how I always like this, very soon I would be putting other recipes also for kheema briyani. Do try and enjoy.. In a pressure cooker, add oil, when oil is hot, add cumin when they splutter, add onion and whole green chillies and fry for a minute. Then add kheema, red chilli powder, turmeric, garam masala and coriander powder and fry for 2 minutes, add tomato, ginger garlic paste, lemon, curd, green peas and salt, mix them nicely. Now add rice and water, adjust the seasoning and close the lid and cook for 3whistle (1 in high flame and 2 in low flame) allow the pressure to go before opening the cooker. Who will say no to this,luks yum!!! 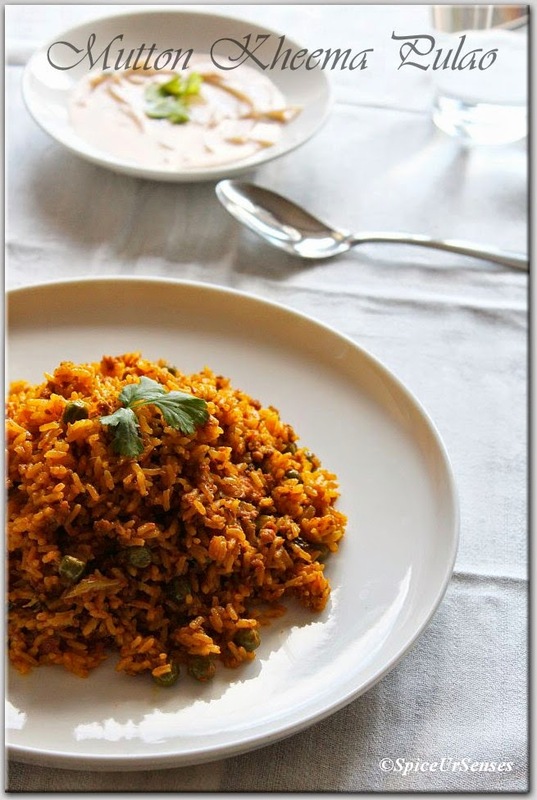 The pulao looks too yummy and delicious. Loved it. Will surely do prepare it. Thank u for the share.